It's not a party without dip, but you don’t want something off the back of the shelf at the grocery store. 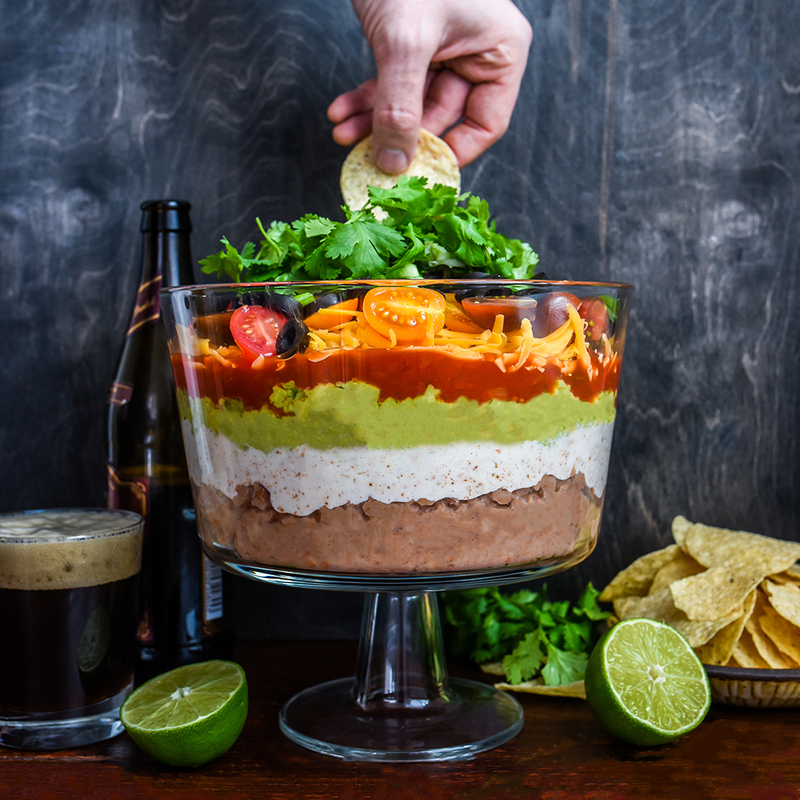 This 7 Layer Dip is a guaranteed crowd pleaser. Fresh, spicy, cheesy, dipping deliciousness. Perfect for game day, your next house party, or any given Tuesday. In a bowl, combine the sour cream, 1/2 tablespoon lime juice, chili powder, cumin, and cayenne, and mix well. Peel the avocados, transfer to a bowl, and mash with a fork. Mix together with the lime juice and kosher salt. Start to build the dip in your serving dish, first with the refried beans, then top with a layer of sour cream, mashed avocados, and salsa. Top the salsa with the grated cheddar cheese, then the halved tomatoes, sliced olives, and green onions. Top with sliced jalapeño and cilantro, and serve immediately.